Woodtrend have supplied their Garapa Cladding for a gorgeous Victorian house extension on the Isle of Wight. 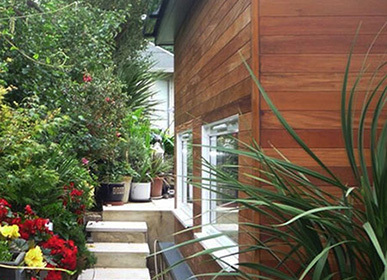 Duncan Taylor wanted to transform the rear extension of his Victorian home and chose Woodtrend for cladding. The tropical Hardwood is a hard and tough material with 4 Rounded edges of a 3 mm radius. It’s Resistant to rot, fungi & insect attack, making it an ideal choice of cladding for this house extension.